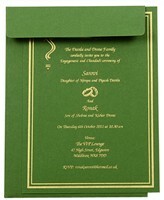 D-5575, Green Color, Hindu Cards, Engagement Invitations. 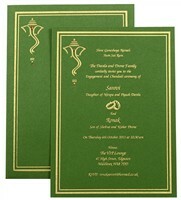 The front has golden border that defines the central space having an embossed Ganapati in gold. Envelope too follows the same design. 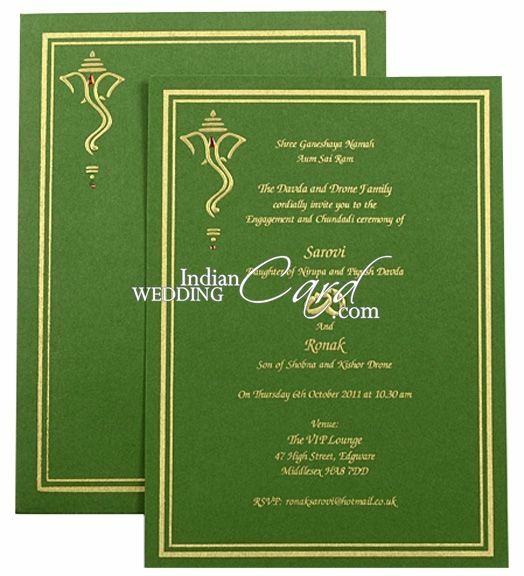 Green color paper (300gsm) for Card and envelope.